The BBCRC is a registered tax exempt non-profit 501c3 corporation. Contributions to the BBCRC are tax-deductible. The BBCRC is mainly funded by individual contributions from our community of supporters. We have some substantial costs in operating our site, in purchasing needed equipment and materials for our projects, in making repairs to equipment, and for our overall operations. We depend on donations from our community of supporters both locally and across the country. We realize these are tough times for many people and getting involved here certainly does not require giving money. However, if you can, or if you know someone who can that you can steer our way, that would be greatly appreciated. 1) send a check to us at 800 Black Butte Road, Weed, CA 96094, made out to "BBCRC"
2) if you already have a Paypal account, log into it and send money to "donations@bbcrc.org"
Lumber of various sizes and shapes — 2x6s, 2x4s, 4x4s, etc. We can also consider adding other historic railroad equipment including additional cabooses, etc. We are often in need of people able to assist us with all sorts of projects at our site — carpentry, plumbing and electrical work, railroad car restoration work, sign/other painting and artwork, forest restoration (including trails, tree planting/limbing/fuel reduction/non-native invasives removal, etc.) and many other tasks. Please contact us in advance if you are interested in helping out — some times are much better than others for this. We have Spring and Fall work and music parties when many volunteers show up. We also can use some longer-term volunteers at certain times of the year. We host the occasional traveling band for shows in our boxcar or outdoor stage area — be in touch if you are coming through. We are also hosting 2-3 art shows a year. At present we do not yet have regular open hours. We are open to the public during special events or by advance appointment. Please contact us in advance by telephone or email if you want to visit. We try to be as open as possible to visitors passing through the area but at times we just don't have the capacity to host visitors so check first if you can. Also, our operations are seasonal and we have relatively little activity during the winter months. We are located at Milepost 345 along the Black Butte Subdivision of Union Pacific, just south of the junction with the Central Oregon and Pacific Siskiyou line. If driving, to get to the BBCRC, from the I-5 South Weed Exit #745, go east one block to Black Butte Drive (by the Taco Bell). Turn right (south) on Black Butte Drive and go ¼ mile. Turn onto the well-travelled dirt road going to your left (east). Go ¾ mile east to the end of that road by the railroad tracks. Turn left (north) on the dirt frontage road running alongside the tracks. Go a few hundred feet to the gate on your left. Weed is fairly well served by public transit. The nearest Amtrak train stop is Dunsmuir, 15 miles south of us, served by the Coast Starlight daily. Greyhound serves Weed 2-3 times daily each way, running between Portland and the Bay Area. Two Mexican bus lines, "Fronteras del Norte" and "Estrella Blanca" (White Star) bus lines also serve the area (often stopping in South Weed) but it can be difficult to confirm days/times, especially if they break down... Siskiyou County "STAGE" Transit buses run between Dunsmuir and Yreka (Mon-Fri only) and stop at South Weed (Vista Drive and Shastina) by McDonalds. You can take bikes on these buses. Call 1-800-24STAGE to confirm times. We are not set up to offer overnight accommodations or camping but can advise visitors on nearby camping or other lodging options. Legal camping areas in the Shasta-Trinity National Forest are within a ten minute walk of our site. 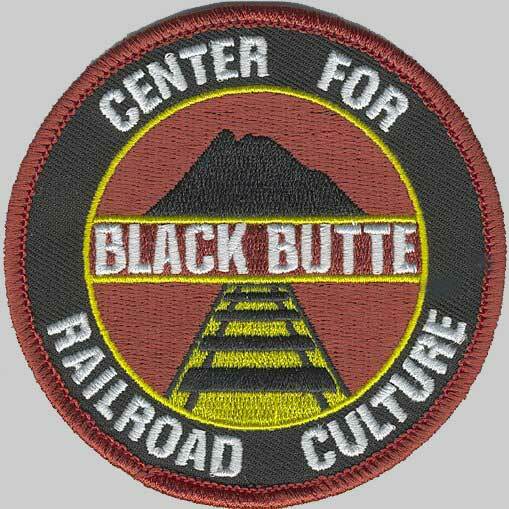 Photography/documentation: While personal photography of our rail cars and the general scene in public spaces at Black Butte is generally OK, any sort of filming, photography and/or interviews for more formal documentary or commercial purposes is only permitted with advance written permission from the BBCRC. Any photography or documentation of individuals at Black Butte, whether for personal, commercial, or documentary purposes, also requires the consent, in advance, of the subjects. Thank you!